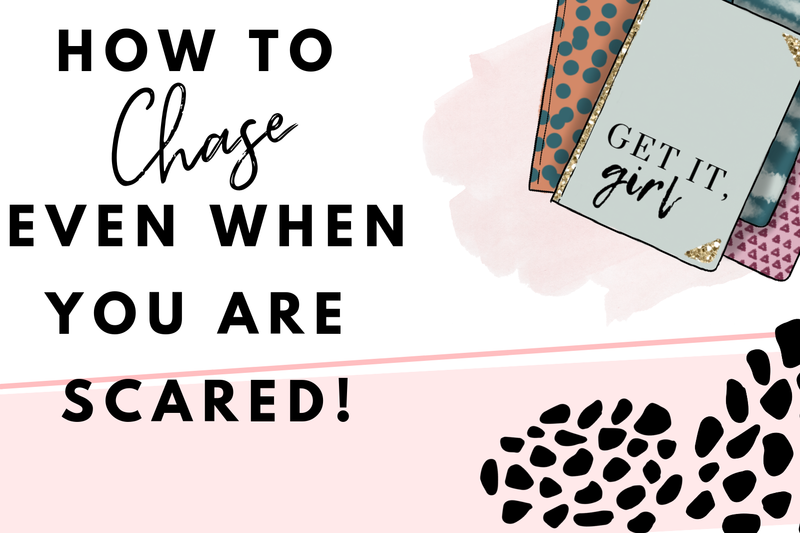 How to Chase Your Dreams Even though You are Scared! Do you have dreams that you want to accomplish but you are too scared to begin the journey? I have been thinking this exact question a lot lately. I even wrote down the things I wanted to accomplish. Suddenly a bunch of I cants starting popping up in my head. However, I felt a very still quiet voice deep within me. I knew it was God speaking to me. Sometimes God doesn't have to say much to really say a lot. And sometimes it's even a quote that you've heard a million times but it flew over your head. I looked back over the goals I had for myself, I began to get to scared...literally nervous and hand shaking. Thoughts started to race in my mind and at that very point I wanted to put the pencil down, throw the paper away, and forget about it. At that moment in time I wasn't feeling very BOLD and FEARLESS! But then beyond all the doubts in my mind, beyond the constant "I cants." If your dreams doesn't scare you then they aren't big enough! As that quote popped up into my head over and over again, I started to feel confident in myself again. I began to believe that I could achieve my goals no matter how much they scared me! I prayed to God saying I know my dreams are big and from the looks of it right now I feel like I can't accomplish them, but, I know that you are a God of good faith. I know that the dreams and passions that you have placed in me are not by accident so I will look to you knowing you will be with me on my journey. So many of us stop chasing our dreams because we are scared but at that very moment that is when we should start looking to God for support. He's always there and he always have a word for you whether it may be a scripture, quote, or from another person. God is always there with us wanting you to go for your dreams and ultimately his will for your life. Those dreams are not there for no reason, act on it, use them for your benefit. Do not let your dreams pass you by. 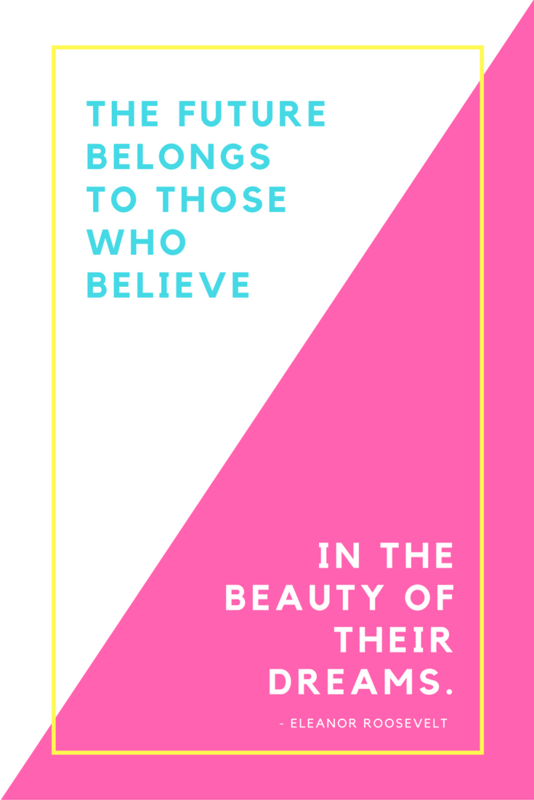 DECLARE IT, BELIEVE IT, DO IT! "Until you start living you are only dreaming"
What Dream do you want to pursue. Let me know in the comments below!